Fleischmann's Rye is an enthusiast's favorite because it is decent and cheap, and a charming novelty due to its extremely limited distribution. Available only in northern Wisconsin, where they drink all sorts of beverages nobody else does, like Korbel Brandy and peppermint schnapps, it's the only rye made at the Barton 1792 Distillery in Bardstown. 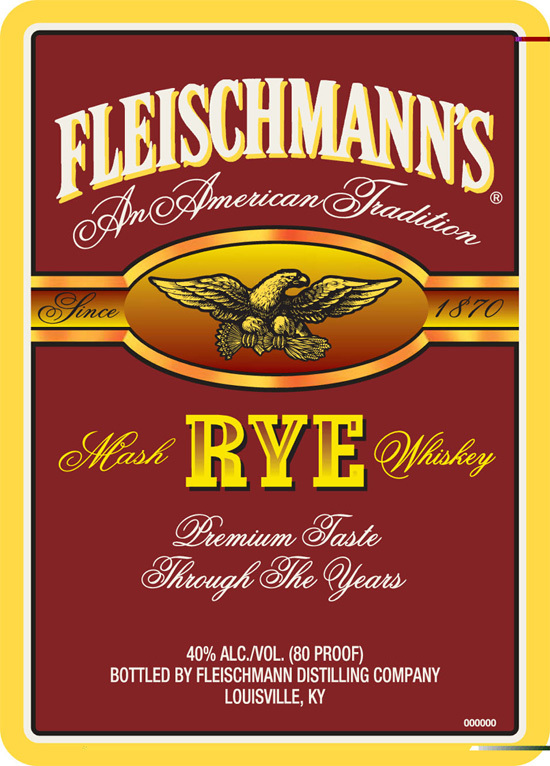 Fleischmann's Rye is cheap, sold only in 1.75 liter plastic bottles at 80° proof (40% ABV). There's a raw pleasure in a well-made young rye but that's all it ever was. The whiskey's appeal is mostly in its rarity. 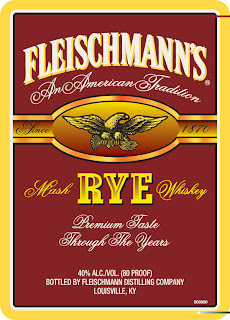 Recently, some posters on straightbourbon.com revealed that Fleischmann's Rye has changed its label. Instead of saying 'Straight Rye Whiskey,' it now says 'Mash Rye Whiskey.' This led to some tea leaf reading and inquiries to the brand's owner, Sazerac, to figure out exactly what it all meant. To be labeled as 'straight rye whiskey,' a whiskey must be at least 51 percent rye, distilled at less than 160° proof (80% ABV), entered into new, charred oak barrels at 125° proof (62.5% ABV), and aged for at least two years. If aged for less than four years, the label must carry an age statement. On the new label, the word 'mash' was inserted so you won't notice 'straight' is gone, but it has no effect on the product's legal class and type, which is now simply 'rye whiskey.' It still has to be at least 51 percent rye, distilled at less than 160° proof (80% ABV), and entered into new, charred oak barrels at 125° proof (62.5% ABV) or less, but there is no minimum age required and no age needs to be disclosed. This does not appear to adhere to the rules as written, but it is the way TTB has been interpreting them. Sazerac was selling Fleischmann's at three years (36 months). They may still do that, but now they don't have to. This part of it is just like the Old Grand-Dad proof cut. With these old, small, and in this case really cheap brands, the producers believe they can cut the proof, cut the age, change the label, but as long as they don't raise the price, the consumer won't notice. This is all done to extract as much profit as possible from a very marginal product. As small as Fleischmann's is, Sazerac must sell a lot of it in that one market to justify making it. Unlike a small bourbon brand, which is just a matter of slapping a label on a standard bottle, they have to actually make this stuff. Before Sazerac bought them, Barton was active in the contract distilling and bulk whiskey markets. Some of the High West ryes are Barton. They may have sold some of it that way, and probably used some of it in the many different blends they make. On the other hand, a 36-month whiskey is practically just-in-time manufacturing for the whiskey business, being able to sell something three years after it's distilled -- and now maybe less than that -- is a nice little business. When asked about the change, Sazerac revealed that they briefly discontinued the brand, then brought it back. That shows how borderline it is, profit-wise. About the smallest batch a distillery can make is the contents of one fermenter, but the start-up and shut-down for one fermenter is the same as a whole day's production, so one day tends to be the smallest practical unit of production. Even today, with rye production up, a distillery like Sazerac's Buffalo Trace might do three or four days of rye in the spring and three or four in the fall, but back in the doldrums it was one day in the spring and one day in the fall. Barton has been doing something like that, or maybe just one day for the whole year, and that has been enough for Fleischmann's, for their blends, and for contract/bulk sales. When Sazerac bought Barton they were shut down for rather a long stretch, about 18 months, because Sazerac felt they had been over-producing. When the rye ran out because of that gap, that may have been when they discontinued it. At some point they decided to make it after all, and probably went right back to what they had been doing, production-wise. Interesting article. Touring Barton 1792 Distillery it's difficult to tell what they're fermenting. Barton fermenting tanks are unique. They're outdoors and have permanent individual covers (per tank). Bottling line tour confirms there is substantial Spirit Industry contract work at Barton. Noticed typo error in article. 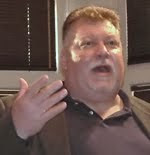 You know, Chuck; even though I'll probably never taste this quaint little brand of rye whiskey, I certainly do enjoy your blog and all the 'insider' info about the distilling business(es) in the US.... Including this tidbit about Fleischmann's Rye. Keep up the good work! I fixed the typo. Thanks. Damn gremlins. "This does not appear to adhere to the rules as written, but it is the way TTB has been interpreting them." Would you please elaborate/clarify, for those not fully up to speed? I'm in my local store yesterday, standing by another customer and a store clerk. The customer says, "I really am interested in knowing the distilleries and source of the whiskey I buy." The clerk proceeds to tell the customer that Bulleit makes great whiskey at their distillery and is part of Brown-Forman. Futhermore the clerk states Woodford Reserve is sourced and not made at their own distillery. Question: Do you chime in to clear up the mis-statements and potentially lose a sale for the clerk? I figure you must overhear this sort of thing all the time. What do you do? Regarding the rules, there's not a lot else to say. I read them as requiring an age statement on all whiskeys less than four years old but in practice, it only seems to be required for straight whiskeys. I have also seen people use "less than four years old" as the age statement. With TTB, you have to accept a little ambiguity. As for correcting ignorant strangers, that particular good deed almost never goes unpunished. Also, consider that they don't know who you are, so objectively they have no way of knowing who's right and who's wrong. Bite your tongue and walk away, or start a blog. That was my first thought too so I looked into it and, no, no used barrels are involved. It still meets the requirements for rye whiskey, just not straight rye whiskey. Chuck, I really enjoy your informative blog. I like it so much that i am playing catch up and reading it from the beginning. So here i am in 2017 writing you a question.In your article you say Straight Whiskey among other things must be barreled "at" 125 proof. Should that say "less" than 125 proof? I do know some distilleries barrel at lower proofs (wild turkey) so that they do not have to dilute as much on bottling (i believe I learned that from you) thanks. Is It Time for the Three-Tier System to Go? Kansas Clean. What Is This Stuff?